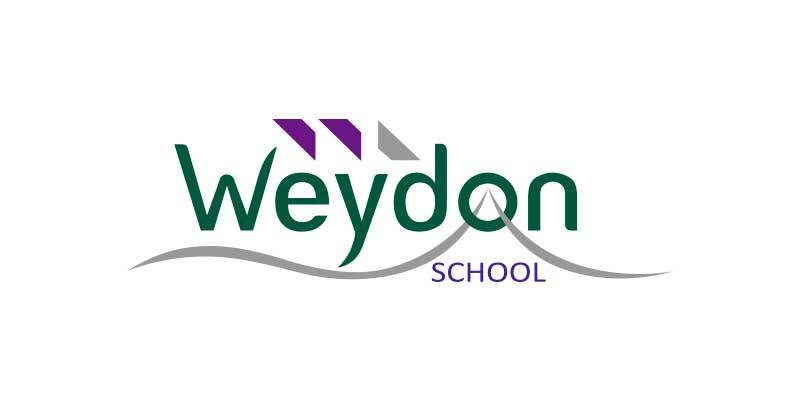 Presented within a co-ordinating folder, the Weydon School prospectus certainly has the wow factor. Text has been kept to a minimum which allows key messages to stand out via eye-catching images and infographics. 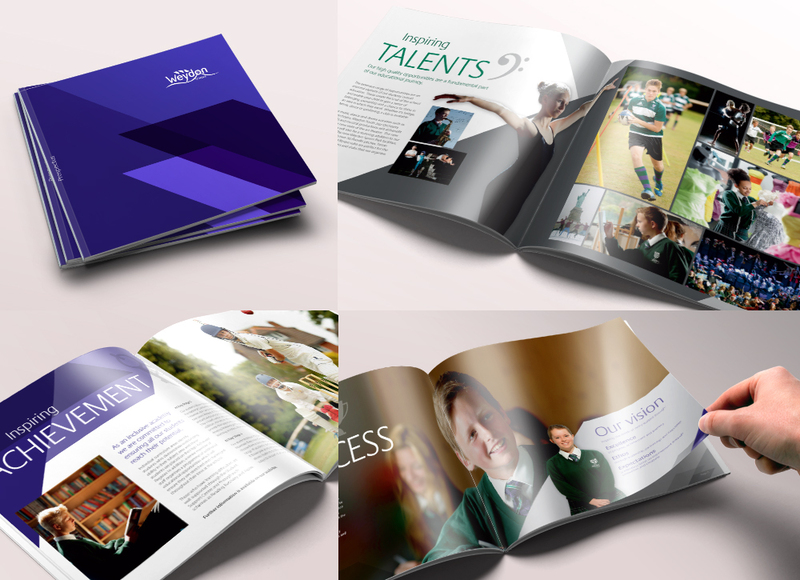 A fold out gallery page encapsulates life at the school, showcasing both the varied curriculum and opportunities beyond the classroom. 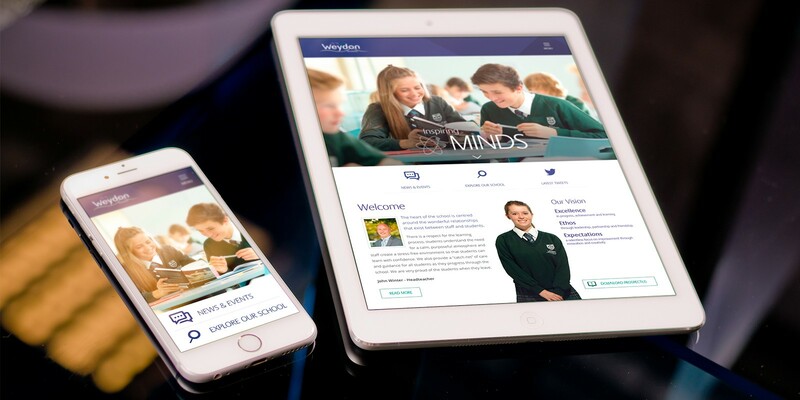 The Weydon School website by Cleverbox uses responsive technology to ensure a fluid experience across desktop, tablet and mobile devices. 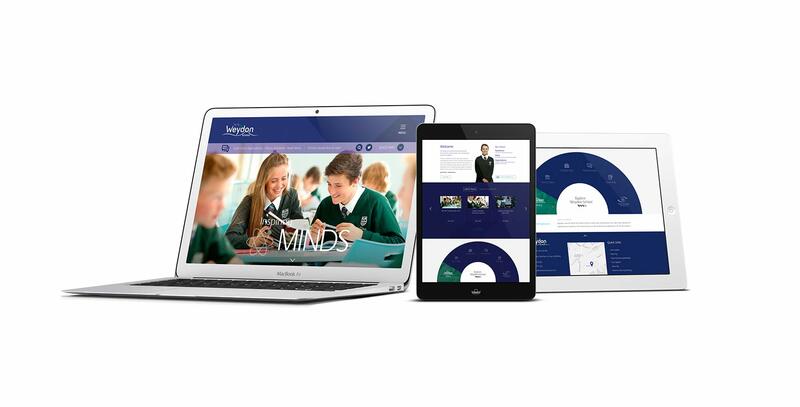 The site is designed to complement the branding and uses quality photography to capture attention.